This line begins Debbie Qaqish’s latest work, Rise of the Revenue Marketer, a fully developed view of the revenue marketing theme that has exploded in the past five years. Debbie has been one of the key proponents of the idea that marketers can and should own more of the sales funnel, including bringing revenue – real dollars – to the table. Other proponents include Jon Miller at Marketo and the team at Eloqua. In her book, Debbie Qaqish, integrates this concept as a strategic imperative and overall system, which goes beyond marketing automation. Many of us know Debbie from her numerous presentations at Marketo events and her thought leadership as Chief Strategy Officer at The Pedowitz Group, where she coined the term “revenue marketer” in 2010. Since then, this concept has permeated every aspect of B2B marketing, leading to terms like “revenue performance management” and others. To paraphrase Jeff Pedowitz, marketing automation providers can only do so much to help marketers. For instance, when I setup Marketo at several firms, it was one thing to implement the software, but it was another to look at the entire revenue process beyond the systems. Fortunately, my team was forward thinking and we had been moving our process to be revenue funnel focused. Still, we lacked some of the key functions and had to rely on the most technical marketer for things that would ideally be done by a marketing operations specialist and a reporting analyst. In her new book, which launches today, she combines her years of experience in turning B2B marketing teams from the old interruption “cost” methods toward permission based content marketing methods. Methods that tie activity directly to revenue. If you have been in marketing for a few years, this idea is not new. Strategy. One of my recent worries is ensuring marketing is working on strategic tasks and not just tactical activities. Rise of the Revenue Marketer offers advice on just how to do this as a marketing leader by pulling together teams, processes, change, and executive buy in. This is a thought-provoking question that I have found myself faced with since joining the world of marketing from a successful sales career. “Revenue? That’s what I worry about in sales!” It took a couple of years to understand what a revenue marketer might be like, and I enjoy taking firms on that journey. Measures for Repeatable, Predictable, and Scalable revenue in the pipeline and marketing ROMI. Revenue – marketing is becomes a generator, not a cost center. Traditional Marketing, which includes the 4Ps: product, promotion, placement, and price. Debbie notes that B2B marketers here have little clout and report on activities and cost metrics. Lead Generation: this is where I started in my first marketing role. This is a series of tactical activities and metrics, but focused on moving leads to Sales. Demand Generation is where “closed loop” systems and marketing automation transform the lead gen process. Marketing becomes responsible for nurturing and lower funnel activities. Revenue metrics begin to appear, including MQLs, SALs, and pipeline contribution. Revenue Marketing: this is where you have a “machine that is repeatable, predictable, and scalable (RPS).” Now marketing is responsible for revenue and rewarded for it. Developing your marketing organization into a revenue marketing team and making sure the rest of the firm is on board is a long process. Debbie makes no qualms about that. In fact, many of the case study interviewees describe just how long it can take and what that means. Typically this meant a 12-36 month process within marketing, with Sales, and with fellow executives. She describes how to go about achieving buy-in to move from Traditional marketing to Revenue Marketing. It is reassuring to know it takes more than a 90-day plan to transform both marketing and how it works with Sales. Debbie refers to this process as the RM6 Model. One of the aspects I consider to be critical is People. Having the right combination of skills on the revenue marketing team will ensure success. Too many marketing automation firms are quick to sell the goal of revenue marketing, while distracting you from the hard reality of getting there. I’ve seen enough small firms use marketing automation that just weren’t ready in terms of Team, Process, Goals, or Executive Sponsorship. Just last week I received a marketing email from a former client and discovered they had switched to HubSpot. I suspect they may switch again when they are disappointed by the results. How do I know this? Their organization was just not ready and it likely still isn’t. Remember, marketing automation is one facet of the journey from Lead Generation to Demand Generation. 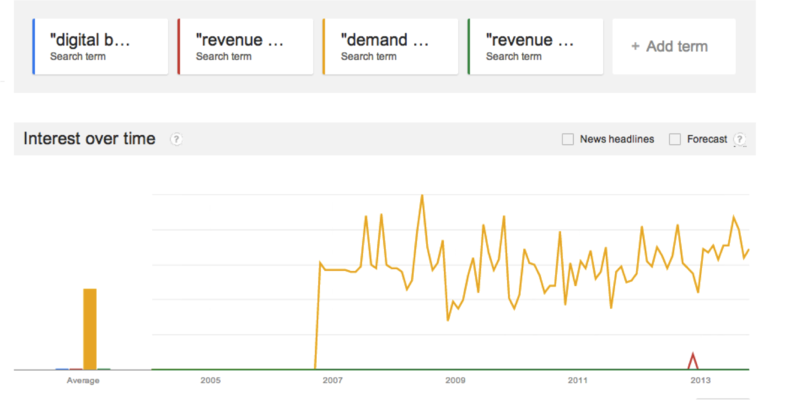 How does Rise of the Revenue Marketer compare to other works? Every single book that discusses this new world of B2B marketing where “marketing has a seat at the revenue table” also mentions how the Buyer Journey has changed. Sales people are now at the tail end of that process, responsible for the close and the people relationships that are still a necessity. Thus, you may find these books repeating themselves, especially in the first two chapters. This was the first new marketing book I read when Steve Woods sent it over to me during my first marketing automation RFP. I found it helpful in better understanding scoring and the tools available. While “digital body language” as a term never really took off, the idea that Sales can benefit from increased visibility into the buyer behavior did. Debbie Qaqish takes a more strategic approach and almost completely ignores the tactical bits of lead scoring. Thus, these two books can work together. To me, this book felt very much like a summary of Marketo’s marketing materials and education pieces that I could get for free. In fact, I did get this book for free at the Marketo Summit 2012 (thanks Liz!). Like Digital Body Language, the book walked through the tactical considerations that are solved by marketing automation. Phil also described the concept of Revenue Performance Management, which ties in nicely with Marketo’s RCA and MFM packages. A nice package for the mid-stage buying process. I hate to admit this, but a lot of what I learned about B2B marketing since 2008 has come from blogs. Blogs of top marketers, blogs of marketing automation makers, blogs from marketing automation agencies. As I note below, much of the content in Rise of the Revenue Marketer is from Debbie’s previous work. Isn’t that the great thing about the internet now? A student of marketing can learn the latest techniques without an MBA or even a dozen years of experience. Introduce the reader to the concepts. Walk through the author’s experience. Interrupt the reader with quotes and interviews from executives. I found these almost all helpful and interesting, especially when executives were candid about what it took to move from Traditional Marketing to Revenue Marketing. Several executives admitted they were still in certain stages, which I found refreshing, as most business book case studies are a bit too successful. What I continue to find in all business books is that these quotes and case studies (always in grey boxes) completely interrupt the flow of what the author is saying. I would prefer to place these case studies at the end of the chapter, which still reinforces the concepts. Case Studies from large organizations that the author has worked with. Honestly, I would do this too because it is far easier to ask those you know. Another small business startup book I read took a different approach by inviting people to a survey and then asking interesting respondents for a case study interview. I found that technique led to several off beat ideas. Chapter Endings to inspire action: these are called “Key Plays” in Rise of the Revenue Marketer. I found these to be helpful action items in developing the road map for the revenue marketing journey. In some respects, the book is a compendium of the author’s thought leadership, papers, presentations, and blog posts over the years. So regular readers of The Pedowitz Group’s materials will be very familiar with much of the book. While you could read much of that for free, you may find it helpful to have the complete package in one place. This is especially true for aspiring marketing leaders just as it is for a busy marketing executive. While reading the book, I felt challenged to explore new ways to handle revenue marketing at my company. Debbie does not offer a lot of advice for very small firms, or sales led organizations, or the unique challenges posed by a startup. Perhaps the unwritten assumption is that revenue marketing as a whole can only be fully realized at larger firms. Recently, I have been working to convince my peers to make the leap from Lead Generation to Demand Generation and beyond, but I am unsure how to do this given our unique constraints. Certainly no one has the precise answer, but I would love to hear how Debbie would approach the challenge, as Pedowitz works with small firms too. Debbie describes her concepts and experiences well while offering helpful examples and frameworks along the way. Rise of the Revenue Marketer is aimed primarily at fellow marketing leaders; however, I find it could be a great read for other executives looking at the latest ways to market their services. In fact, I highly recommend having your Sales VPs and CEO read this book as you begin the socialization process so that they are as excited as you are! Do I recommend this book for those less familiar with The Pedowitz Group and revenue marketing strategies? Yes, absolutely. 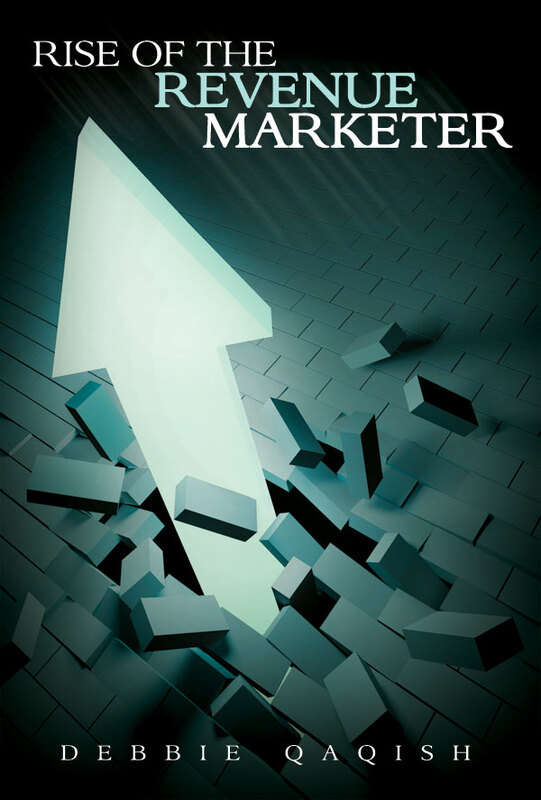 Disclosures: I received a preview copy of Rise of the Revenue Marketer. There are no affiliate links! Stay tuned for a few new Marketo tutorials in the coming weeks. 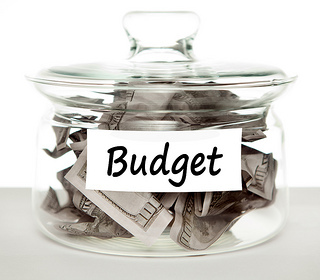 “Marketing Automation on a Budget”? What could that possibly mean? Each automation provider claims they are for small-medium businesses or enterprise or all three arbitrary firm sizes. When you start to dig into the pricing and feature lists, you quickly find the top names are about the same price for each tier of database sizes. So how is having 500,000 records at a $100MM business different than 500,000 records at a $5MM business? This is a good question I can’t answer very well right now. I’d say that the lead values are different for each firm due to product differences, growth levels, and conversion rates. My point is that a $5MM business cannot pay as much for the same system as a $100MM business without losing features. I’m currently in the market for an automation solution that integrates with Salesforce, allows me to create workflows, pulls in data from my site, tracks leads, does email marketing, and reports well on all of these things. In short, I want the “Demand Gen Dream” of integrated systems and cross system data that I can query in any way. At my budget level, it is not going to happen. I can come pretty close though if I choose my vendors carefully. Marketo Pricing – Despite having written a ton of articles about Marketo, I’m not a huge fan of their pricing. The Basic and Pro options purport to be accessible to small businesses. My take: good for high growth tech businesses. HubSpot – Who doesn’t love their blog? Their feature set is comparable to other MA systems, except that you have to start with the “Professional” level to use any of them or integrate with SFDC. As they’ve grown into the market with larger enterprise ambitions, their pricing has risen too. They have a clearer matrix system of three tiers multiplied by the number of database records. Usually the pricing is similar to Marketo’s. If you are undecided about which level, select your database size, then change the product level. There won’t be a huge difference in the annual cost. My Take: becoming out of reach of the original SMB audience. Eloqua – I almost didn’t put this in here. Eloqua has clearly positioned itself as an enterprise service and it shows in their pricing. They have everything you could need, but it is pricey. My take: not a contender for any SMB. Oracle’s name there is a clear positioning statement. Pardot – Its system is similar to HubSpot and Marketo. I’ve had a couple of demos and thought the interface was ok. Not as clearly logical as Marketo or HubSpot and not as visual as Eloqua. When someone’s on a tight budget like I am, I often suggest Pardot. Their chief limitation comes with 30K block pricing after the base price, API limits, and file size limits. For growing databases, you could easily end up paying more than you intended. Since Pardot is now part of ExactTarget, I’d expect more serious deliverability help and tools than other services. My take: more of a contender for those on a budget, but be careful with list size growth. AWeber – It is the preferred platform for pro-bloggers to run drip campaigns with some automation. Its feature set is fairly advanced for an email platform but lacks the “automation” lead management functions we’ve come to expect. That’s okay because I might want to just have a better email system at first. I like AWeber’s pricing which is similar to Mailchimp’s. To me, Aweber has a more natural interface than Mailchimp with some key bonuses, like personalized email delivery times. Both AWeber and Mailchimp are perfect for newcomers with limited automation needs because of the extensive help and templates. My take: it’s not Marketo, however, it is a contender for basic nurturing. Mailchimp – I already use this for this site’s newsletter and at my current employer. I find it has powerful features, but a poor interface because I can rarely figure out where functions are. The integration with SFDC is a bit limited. Mailchimp also bases pricing on database size with very clear options over 25K. I love it when companies are open about pricing at high volumes instead of “call us,” since it saves me the trouble of deciding to ask them. Mailchimp has similar features to AWeber with a friendly vibe thanks to the Chimp. They are very strict with CANSPAM compliance and will suspend you for even inadvertent low deliverability stats. My take: MailChimp is a much better starting point for SMBs or small list bloggers. Not sure it is a good choice for those with larger ambitions. After exploring these Marketing Automation players and email platforms, I’d say if you are an SMB that is not desperately in need of lead flow management, you should find an email service provider who has a few tricks up its sleeve. I recommend AWeber or Mailchimp and then find a contractor to help integrate the sync between them at SFDC. For the moment, I’m sticking to an email only solution, for about 10% of the cost of marketing automation. That being said, I am looking forward to the day I can say a $30K solution will save me the cost of a new hire. Make the most of your solution by watching How to Build a Marketing Operations Center of Excellence, the slides are also available for download. Marketers and salespeople often complain their CRM is limiting them. Salesforce and MS Dynamics and Sugar CRM all pressuppose a particular progression from Prospect to Sale. No doubt that the system is based on 120 years of sales research best practices. But what about your business? Does the Lead > Contact > Account > Opportunity flow always work for you? Marketing Automation systems like Marketo can help you bypass the restrictions in your CRM to build a sales funnel that makes sense for your business. This a big challenge for many smaller businesses who don’t have technology teams or even experience with the various CRM systems. They just want it to work. They want to record meetings, contact details, and sales and to find it easily without a lot of manuals. Salespeople never want to spend time working inside a system they don’t believe in. It turns out there are quite a few CRM options for small businesses. Which is great, but if you read the article, no one system has worked for everyone. Few companies seemed thrilled. (The article also correlates having a CRM with having higher sales, which seems specious at best). When I was starting Marketing Rockstar Guides, I had to resist the urge to get my own CRM to record things. I knew it would be great to have one, but to spend money on it as a one-man band? No. So I tried a few free CRMs and nothing really worked so I decided it wasn’t needed. But for larger firms with multiple sales people, even firms under 50 people, you do need something. Some system to help record sales and keep the data safe and accessible across the team. But to make that system work for your unique business can be a challenge. Thousands of firms make billions from customizing cloud software to fit your unique requirements. Salesforce.com constructed its system to allow just about anything you want using Force.com–but you need a VAR or salesforce consultant to make that happen. So a very small firm has to make a choice between “making do” and finding a consultant to making things happen. This is where marketing automation can help. Marketers can get help bypassing a great deal of that specialized programming by using marketing automation to construct lead workflows which properly manage the lead flow across the CRM. So for a small business using a basic Salesforce setup, Marketo Spark can effectively adjust workflows you might otherwise have needed to build in Apex code. Now, that’s not to suggest you can do everything with a marketing automation system. When I went through my first implementation, I had to spend a great deal of time with my Salesforce Admin building new triggers inside Salesforce. I’ve worked with firms who built all sorts of custom objects for their unique business situation. In fact, in the Marketing Rockstar’s Guide to Marketo, I recommend that you spend time better understanding your needs in your CRM first before you implement Marketo. Once you understand what can be done in the CRM, and what you can have done in the CRM, then you can build out helpful workflows in Marketo to avoid some of that work in Salesforce. This approach should work well with any CRM or marketing automation tool. If you still need specialized programming to ensure your CRM conforms to your needs–and your clients’ needs–then hiring a Salesforce consultant is the next step. Do you have experience with Marketo Spark? Tell us below! And remember to sign up for email updates. Imagine you just sent 100,000 emails to your list. But the email had the wrong date and time. People are already registering for your event. Or the white paper link is a test page and people are clicking and bouncing off your site. Don’t Panic! You can save face and help people at the same time! If you use any type of marketing automation tool, you’ve probably encountered a similar situation at least once. So how do you fix the error? Sending an email before it was ready is a common error. Maybe a URL was wrong, perhaps the email name changed, the dates needed to be corrected, etc…And you’re under pressure to get campaigns out the door to pull in more leads to your insatiable funnel, right? A typo can be embarrassing. Fortunately, not everyone will notice a typo because email is scanned before it is read. If the typo is trivial, do nothing. Sending a second email or apology will only draw attention to your mistake. A second, similar email within a short amount of time will lower your email reputation because spam filters will view a repeat email as potential spam. Your leads will be annoyed with a second email and may ignore, spam filter, or unsubscribe you. Great, you say, but what about the big invitation with the wrong date? What do I do now? Stop the campaign running right now, if you can. Then you can send the correction to the group who received the wrong email. Send a corrected email to anyone who may have been directly affected, including people who Opened, Clicked, or Registered. Send a correction to everyone. My preference is for 1 or 2 unless there was something far worse going on (see Scenario 3). If you can, stop the campaign process now. Here is how to do that. Go to the campaign schedule tab and deactivate it, which also includes deleting future Runs. If you were able to cancel the Run before its activation time, great! Go ahead to fix your email and rescheduling this one. If you campaign is already running in Marketo, you might be able to kill further mistakes by deleting the next flow step. Deactivation does not stop the Send Email flow step. Marketo recommends then Deleting the entire Campaign flow step to ensure the process ends. If there are more than 10,000 Leads, please call Marketo Support for immediate help. Since some or all of your target leads were sent the email, you need to handle a possible correction, go to Step 3. If you believe it is necessary, add an apology. If you made an error on the date, time, or location of something, be sure to make it clear that you are correcting this. Wait an hour or two if you can because you will likely want to restrict the second email to leads who Opened or Clicked in the email. While apologies are great, you may only want to send a correction to the people who actually saw the email. Of course, if you were sending a follow up email for an event, you may want to send the correction to the entire list. The difficulty here is that not everyone allows images or html, so you may lose quite a few people who did see the typo, but who blocked you from tracking them. In the Smart List use filters such as Member of Campaign and (Opened Email OR Clicked Link in Email). Depending on the situation you may want to use Was Sent Email or Was Delivered Email filters. Test the Email. Really. Use the Test button. Use it at least 3 times to different email boxes, which will force you to actually read it this time. Schedule the email. When you schedule the campaign to run, tell it to run in 10 minutes. That way you will have time for your brain to realize any other mistakes. If you accidently sent the same email twice in a short period, there is not much you can do about it. Ideally, if you caught your mistake, cancel the seond run. But in Marketo, it is possible for a Default Action in a Flow step to send the email again if you chose your Choices poorly. Sending a third email to apologize for a second email is not going to help your reputation. The third email will be viewed as yet another annoyance. Ask, “Would I want to receive a third or fourth email explaining a silly error like this?” I bet you said “No.” So don’t do that to other people. In most cases, there is nothing to do other than apologize to anyone who complains. This is why it is critical to monitor generic email boxes as well as persona boxes each day. A quick response to an annoyed lead will soothe them fast. Ignoring someone will make their irritation turn into possible anger, which can only cause them to become net detractors. The massive apology should be reserved for the total mess up. You will know when this moment arrives. It could be that auto renew message for 500 people which went to 8 million. It might be a cancellation notice intended for 200 deadbeats that instead went to all of your best clients. Or perhaps, God forbid, a malicious person swapped your copy (or spoofed your domain) and sent out terrible messages to everyone. In any case, you need to use crisis management techniques. Be honest with what you know and don’t know. If it was your fault, admit this quickly and unequivocally. Review your email campaign process and adjust the procedures to avoid such an error again. In this situation, you should email everyone who was on the list as well as post details on your website just as Boingo and the New York Times did. Computers can do things fast, including amplify errors you make. When you build a workflow, make sure you test it well so you avoid mistake emails; wrong list sends; and 100,000 emails to one person. Database selects: does this number make sense? Am I sure that I selected the right list: eg: Has Opportunity = True AND Status=Closed/Won vs. Has Opportunity=True AND Status=Closed/Lost? Inverse select errors are easy to make and can be avoided. Is this an email I would want if I were my target audience? Learn more about demand generation and Marketo! Sign up for the Marketing Rockstar’s Guide to Marketo email list. When I first went from Sales to Marketing in 2008, demand generation was still a phrase limited to forward thinkers. We were just beginning the journey into crossing the sales-marketing divide and automation systems were only just leaving the early adopter phase in the SMB space. So I had to learn demand generation for B2B firms from my colleagues and the bloggers leading the charge. I found few free resources initially and thought it would be great to have a textbook for B2B marketing and demand generation, since none of my marketing courses prepared me for reality. Sure, we spoke about the 4Ps and innovation processes, but never about AB testing, content marketing, or differences between B2B and B2C. Then I saw Marketing Sherpa largely owned that space, clearly filling much of the gap—for a fee. Anne Holland saw the same gap in information I did. After a few years, I still believe we lack a comprehensive, practical guide to B2B marketing. Eventually I came across Marketo, Eloqua, and David Meerman Scott’s blogs and writings. I found helpful guides, musings, case studies, and ideas for taking content I already had and making it work harder so I didn’t have to. From Marketo and Eloqua, I learned of the systems I had dreamed of and how I could learn more about my leads before anyone even called them. From David Meerman Scott, I learned what content marketing really meant, how I could use it, and what was possible with a real time mindset. Putting this into practice is my job. There is no textbook, course, or review of these topics. Sure, marketing is rapidly changing, so there shouldn’t be a central authority because that goes against the real time, decentralized nature of the tools we now have. I get that. But how about a near real time, curated course which is updated every 4-6 months? Such a program would allow those new to B2B marketing to establish a foundation in the field before representing your company? Either way, to learn demand generation, you need to treat the world as your school. Learn demand generation and marketing automation from practitioners, not a textbook. – Click to Tweet. To that end, I complied a list of possible materials, many of which can be had for free at the library or online. I may not use HubSpot’s system, but I do use their blog. Their torrent of useful content is my go to source for understanding how to use the latest sharing tools or even learning SEO/SEM. Because of their close relationship with Google, they are the best place to find out about new features or changes I can make use of. The other reason to subscribe to the RSS and their Twitter is to stay aware of their analyses of real time marketing. HubSpot will detail aggregate information on email subject lines, twitter, SEO, and landing pages from their 6,000 customers. Their in-house wizard, Dan Zarella, monitors social network data with the best insights—and it’s all free of charge. I’ve been reading David’s blog since 2010 and wish I had found it earlier. His insight is real and he actively practices what he preaches. I had the pleasure of meeting David after the release of Marketing Lessons from the Grateful Dead, which nicely encapsulated their open source philosophy for the 21st Century. Sometimes I love this feed, sometimes I hate it. You have to monitor it for what’s relevant to you and it’s not always easy to filter out the wheat from the chaff. The blog is a bit different because you can glean summaries of key articles or hear from non-HBS thought leaders who often share unique insights here instead of their own blogs. David continues his analysis and case studies of how to use the internet to act immediately—and appropriately—to customers, prospects, and media. David goes into detail of how to take advantage of the 24 hour news cycle in the best way possible. For those new to marketing metrics, this is a helpful guide to understanding what can be measured and how it can be measured. Despite my recent anti-lead scoring post, I believe Marketo’s Guide to be the best explanation for developing your own model. If only they also told you how to program lead scoring in Marketo, but I took care of that. This critical survey confirmed what great sales people already know: the best time to call a lead back is immediately. If I were running a sales team, I would run it like Marketo or HubSpot—you call someone back in under 1 hour or the Service Level Agreement warning bells start to go off. Any sales person who believes it is ok to wait until tomorrow or until they are “less busy” should be fired immediately. My own success in sales came from being responsive to clients and prospects, returning emails and calls immediately, even if just to acknowledge the receipt. I won a $150,000 deal with almost no work because I called a prospect 5 minutes after he sent an inquiry email. It works. Do it. Dan puts on this webinar periodically to analyze email time of day and day of week data from HubSpot’s customers. (Adestra also did a similar study). This is helpful information to use when starting out because he demolishes myths about the Tues-Thursday and morning-afternoon dilemma. Ultimately, you have to do your own analysis for your own audience. HubSpot publishes Guides to social media, email, landing pages, SEO, and SEM to help their clients, as well as establish their brand on the internet. They taught me many things about the practical nature of marketing in the real time era, and they can help you too. You can always learn about Personas from HubSpot, David Meerman Scott, or a host of other marketers, but Adele Revella is the leader of this facet of marketing. I see very few firms successfully implementing a Persona program and I am ashamed to admit I haven’t done much work on it for my own business. It’s worth it and it does simplify marketing so you can churn out relevant content faster. Chris writes about small entrepreneurs who started with a very small investment, took action, and were successful. Many of the case studies talk about the practical nature of operating an internet business. A great book on how to find and lead a community of likeminded people now that you can find them on the internet. Another provocative book to get you moving out of the doldrums of the comfort zone where “That’s the way it’s been done,” is banished. A fun daily site for landing page AB tests with over 300 case studies and other detailed help for marketers. The full service is relatively low cost, although I often head to HubSpot for ideas instead. 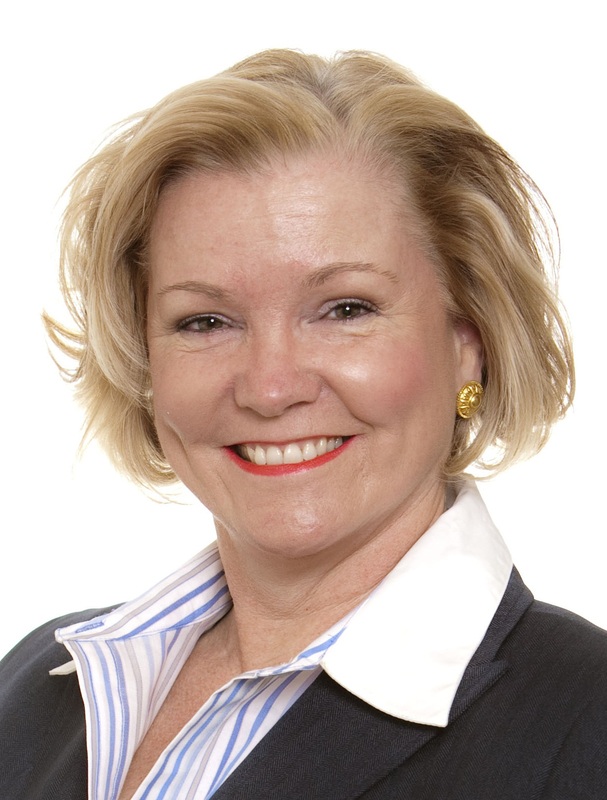 The company Anne Holland founded and sold is still a leading source of B2B benchmarking data by industry. Marketing Sherpa offers a limited selection of free content and a wealth of practical information. With the rapid pace of business and stream of new tools, a comprehensive guide to demand generation would certainly be out of date in a short period, unless it were a blog–a guide continually updated each day. Starting with the content above should give anyone a good foundation to get started in B2B marketing. Do you have your favorite blogs or books you would add to this? Tell us below! And remember to sign up for blog updates via email.